WIP Wednesday: All The Things! 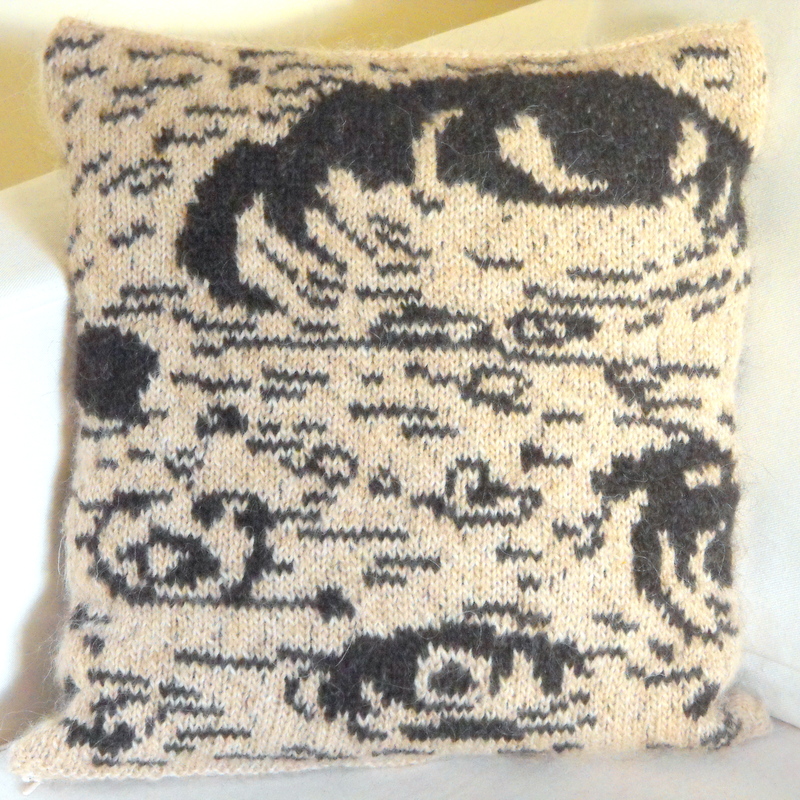 This week I have NOT been “monogamous” with my crafts, let alone my knitting projects! In fact, I’ve had EVERYTHING out in a kind of crazy crafty party for one. My husband was away for a few days, my parents had sent me an entire box of delicious-but-disgusting chocolate treats, I was feeling under the weather, and it was COLD outside, so I’m afraid I took maximum advantage of all these things and had some very indulgent, chocolate-fueled craft time. So- I learned to crochet. Finally! At the weekend, me and some yarn-loving friends went to the Alt Om Håndarbejde Messe (or the “Everything about Craft” Fair) here in Copenhagen. It was, no exaggeration, like we’d died and gone to yarn heaven. I’ll talk about it more in a separate post, but one of the yarnie offers we couldn’t refuse was a deal on Hoooked Zpagetti yarn. If you havn’t seen this stuff, it’s made out of thick jersey fabric, and it’s mostly used for creating home items like baskets, cushion covers, mats and more. 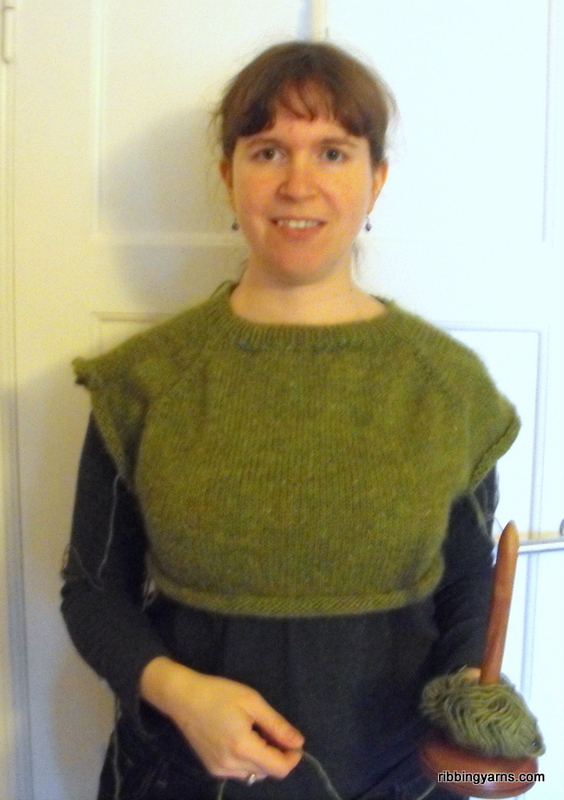 I’ve also been working a lot on my Flax sweater by Tin Can Knits- a top down raglan construction with garter stitch detailing. I’m really enjoying working on this- so much so that I made my husband take this rather surreal, “deranged knitting wife” photo. The yarn holder is included because a) it is a new purchase and I love it and b) because otherwise it would be rolling after me on the floor as the yarn is still very much attached to the body! 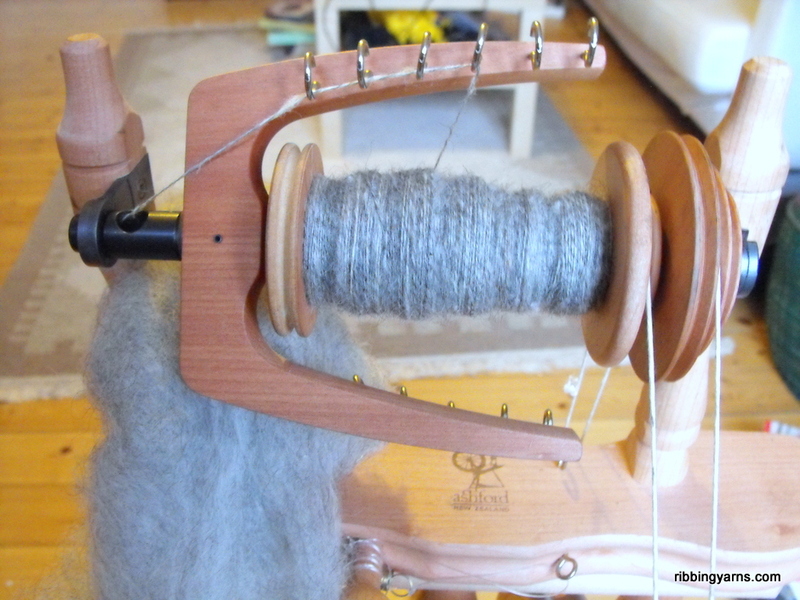 I’ve also started a new project using the Shetland/British wool blend that I finished spinning last week. 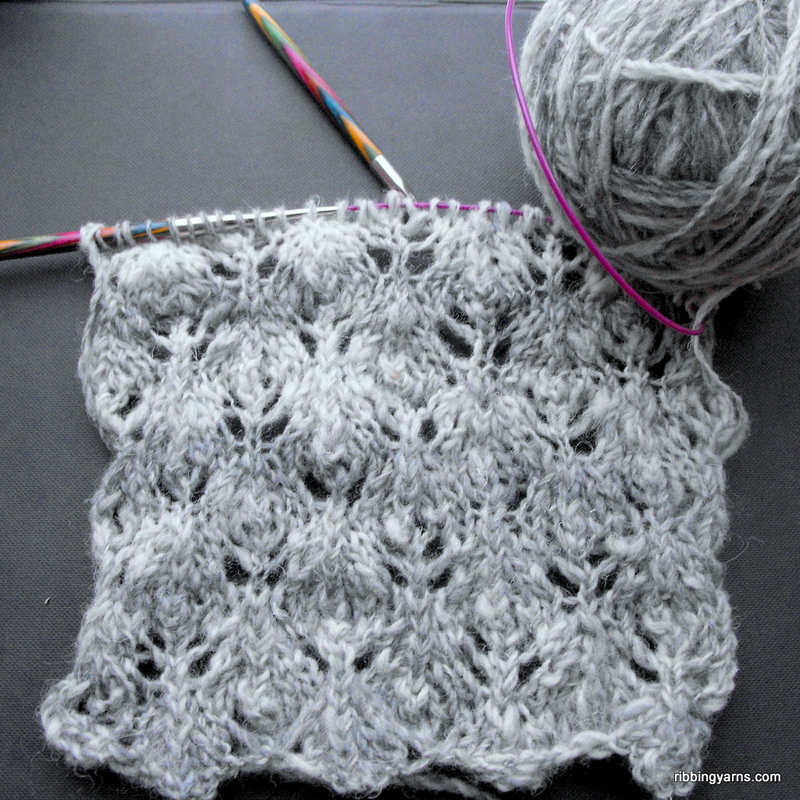 The yarn is sooo soft and I love the cloudy colours so much, I wanted to find a lace pattern that would do it justice. I came across this “little pinecones” pattern in my stitch dictionary, and now I’m in love. I certainly don’t have enough spun up to make a whole scarf, but perhaps enough for a cowl, we’ll see. 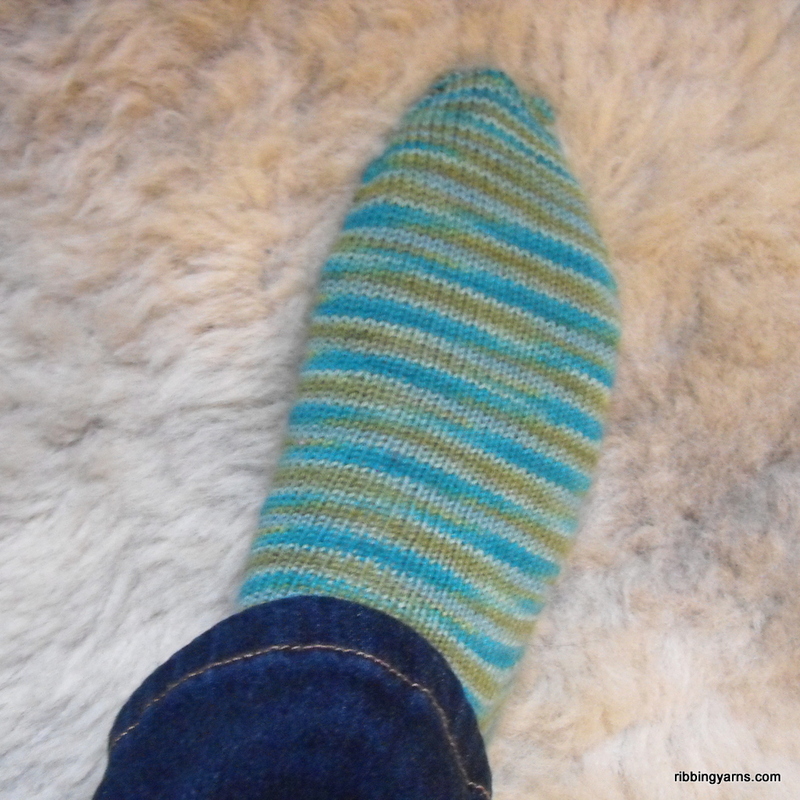 The very last thing I have to show you this week is….a finished sock! This is the first of my Spring Socks- made to my old trusty afterthought heel pattern- and sock no.2 is about halfway to completion. The socks I made last year, which I’ve been wearing on pretty much constant rotation this winter, have kept my toes cosy, but I reckon more socks are always a good idea to have in the project bag. Happy knitting, wherever your yarn takes you! This entry was posted in WIP Wednesday and tagged Alt om håndarbejde messe 2015, British wool, Copenhagen, Craft, crochet, Flax Tin Can Knits, Gotland Wool, Handspun Yarn, Hoooked Zpagetti, Knitted Socks, Knitting, Spinning, Strik. Bookmark the permalink. 1 Response to WIP Wednesday: All The Things!